This is a very natural looking result for a male patient who is about thirty years old. This began as a classic Norwood 3 Vertex, potential Norwood 5 patient. 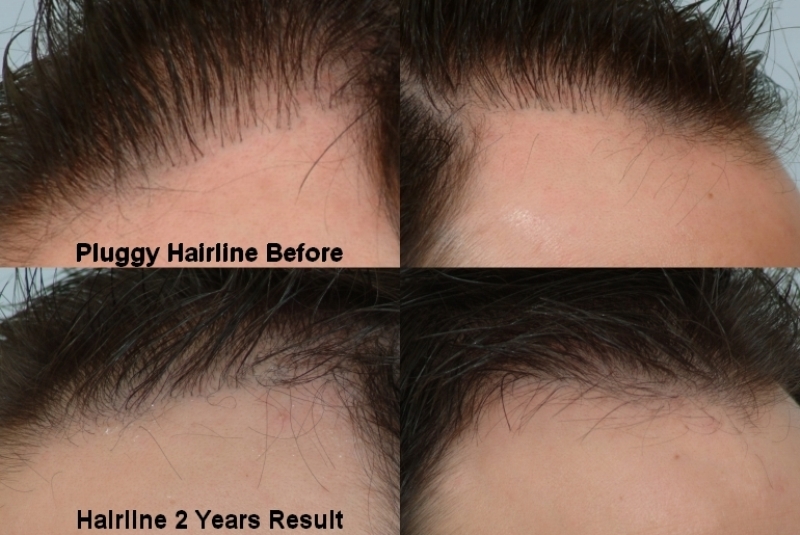 The patient’s goal was to rebuilt the hair line, repair a pluggy hair line, conservatively fill-in the top and fill-in a linear strip scar that yielded poor growth. The patient has above average hair density of 200 hairs per square centimeter and slightly below average follicular density of 60 follicular units per square centimeter. The patient has a broad forehead with a slightly wavy, medium thickness of hair. Between early 2005 and late 2007, the patient had three smaller procedures, which together accounted for approximately 2900 grafts, all via CIT technique. 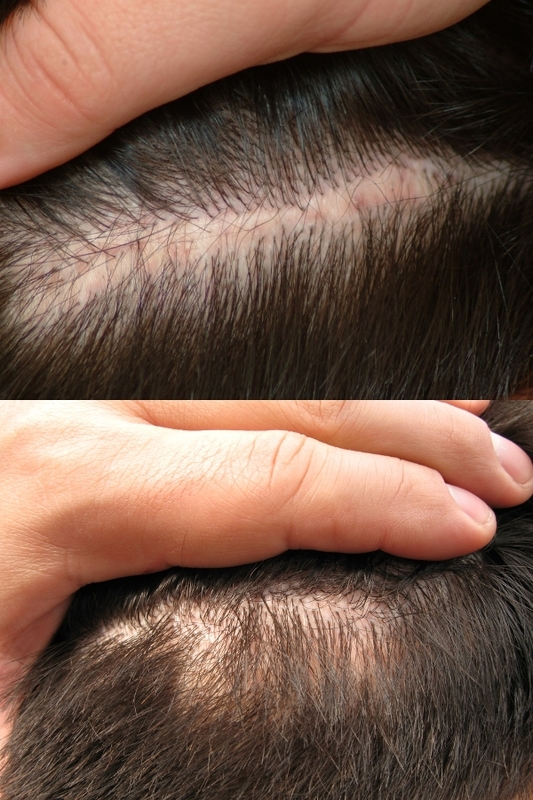 Over time we noticed a progression of hair loss just behind the frontal hair line. This is a classic case that goes to show viewers that hair loss can become evident during a patient’s early mid-twenties and thirties. The hair loss may not be major during the earlier years (20’s & 30’) and may accelerate rapidly in the patient’s 40’s or 50’s. Maximal medical therapy along with conservation of the donor area is what will allow the patient to have a winning change to restore lost hair. It is better to have small procedures or a test to judge the outcome of the results rather than consume the entire donor area of the scalp. I like the result I see here. This guy seemed to have a “patchy” quality to his hair. Is that do to having a procedure, then later in life losing more hair? 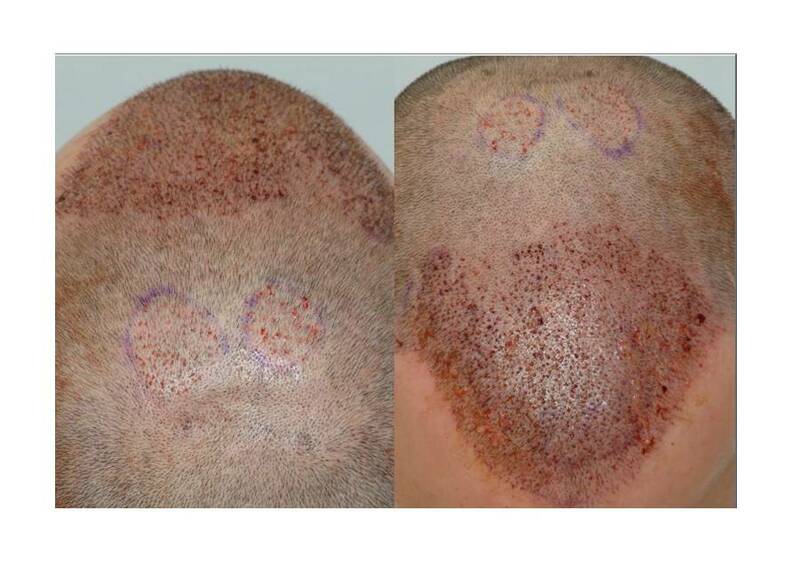 » results rather than consume the entire donor area of the scalp. This patient has contrast resulting from a combonation of dark hair with a fair complexion. This contrast makes the hair loss more apparent than if the scalp hair hair color was lighter. 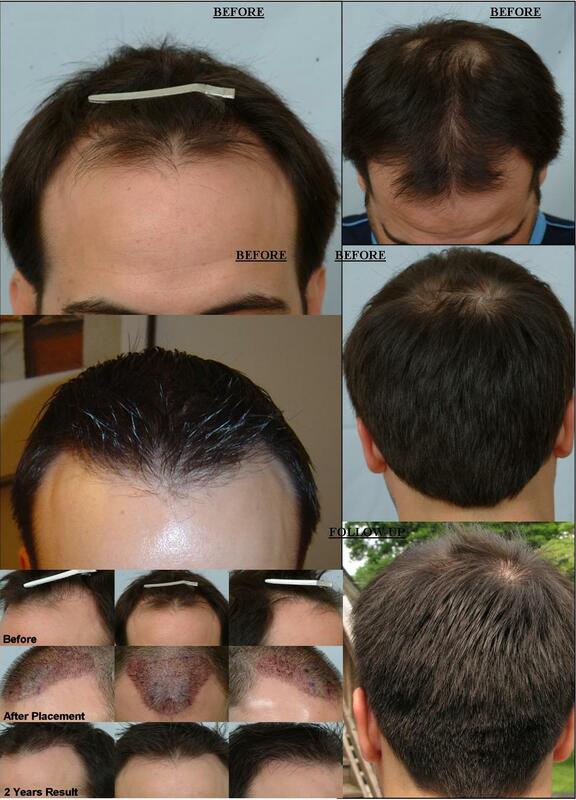 I have included more photos of the frontal hair line repaired by Dr. Cole. I am totally impressed. Seems like he just took meds and it naturally grew. There should be more clinics out there showing detailed hair line repair.